The current economic climate of low economic growth and low construction activity is affecting the coatings industry negatively. Without an upturn in economic activity it is unlikely that growth targets will be exceeded in the near future. Kansai Plascon is the largest coating supplier in southern Africa operating in the market for over 128 years and supplies decorative, professional, industrial and automotive products. The company’s ethos, to design products through constant innovation and ground-breaking technologies, is what drives Kansai Plascon’s growth and has cemented the business as a leading coatings manufacturer in South Africa and Africa. The continuous technical advancements have enabled Kansai Plascon to be the first coatings manufacturer to confidently raise the bar on product guarantees. Dedicated to being a catalyst for change, Kansai Plascon is committed to service and delivering world-class products throughout the full value-chain of the business. In 2012 Plascon South Africa, as it was then known, was renamed Kansai Plascon, after an acquisition by Japanese company Kansai Paint, who at the time, was the world’s sixth largest coatings company. Today, the company continues to drive innovation and excellence in the various coatings markets in southern Africa from four strategically placed manufacturing sites in Mobeni, Krugersdorp, Port Elizabeth and Cape Town. Kansai Plascon’s integrity-based relationships mean the business is able to strategically position itself within specific markets, in a way that benefits both the brand and the customer. Q. What manufacturing trends do you see making an appearance in 2019? A. To ensure manufacturing sustainability, people, process and technology need to come together effectively to maximise productivity and efficiencies in manufacturing. Automation is a vital aspect of the manufacturing industry’s future, to cope with the more tedious, repetitive or unsafe manufacturing tasks. In this way, automated tasks become a complement to the workforce and brings about new jobs. As such, the workforce may require re-training and upskilling. With multiple manufacturing sites across Africa, there is a high focus to obtain the right data at the right time to make the right decisions. The effective introduction and use of digital platforms to collate information from customers to directly impact the performance on the production line is becoming increasingly vital. For example, customers’ expectations of delivery times have increased, and so the responsiveness and flexibility of the production lines’ must also increase to remain competitive. Data analysis and interpretation is core to ensure focused improvements. To remain competitive, technology is increasingly being leveraged to reduce waste in various forms. For example, with ever-rising energy costs, the energy consumption of electronic devices is at the forefront of procurement decisions. 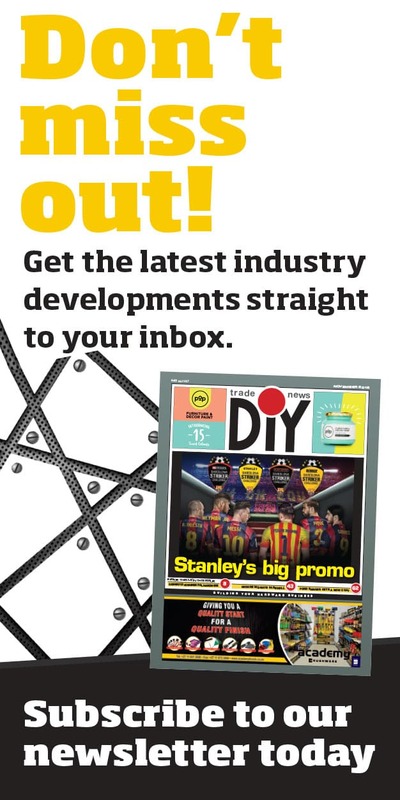 With the reduced cost of solar PV solutions, manufacturing companies are also increasingly involved in the roll-out of green energy alternatives, which in turn creates new and sustainable jobs in this sector in the process. Q. How far behind with regard to specific international trends is the SA manufacturing sector? A. 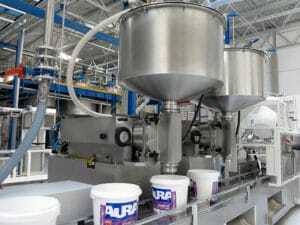 South Africa’s coatings manufacture has been knocked back by factors such as a weakening economy, increasing cost and short supplies of electricity, and water scarcity in parts of the country. Increased competition from international companies has forced South African companies to focus on efficiencies, optimising processes, reducing costs using internationally recognised production methods and processes. Increased levels of automation and upskilling of labour continue to close the gap to international manufacturers. Q. 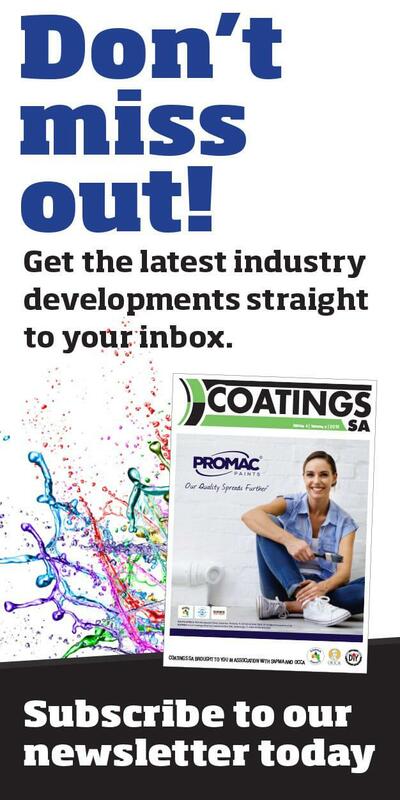 Do you see the South African coatings sector catching up? A. With exports into 10 African countries, Kansai Plascon has developed a roadmap to become Africa’s fastest growing coatings company and thus enable Kansai Paints growth globally. For South African manufacturing to stay relevant and cost competitive, automation in this sector will speed up over the next few years to drive up efficiency and drive down the per unit costs. Q. Which manufacturing trends do you believe are important for SA to adopt urgently? A. Amid these conditions, Kansai Plascon is taking steps to continuously improve the cost position of the company and continues to maximise global procurement benefits. The current focus is to bring flexible manufacturing methods and processes to reduce inventory and optimise costs. Key manufacturing facilities are being upgraded to maximizse production efficiencies and minimise waste. Strides have been made to balance supply and demand in all regions, and there are ongoing efforts to reduce working capital. 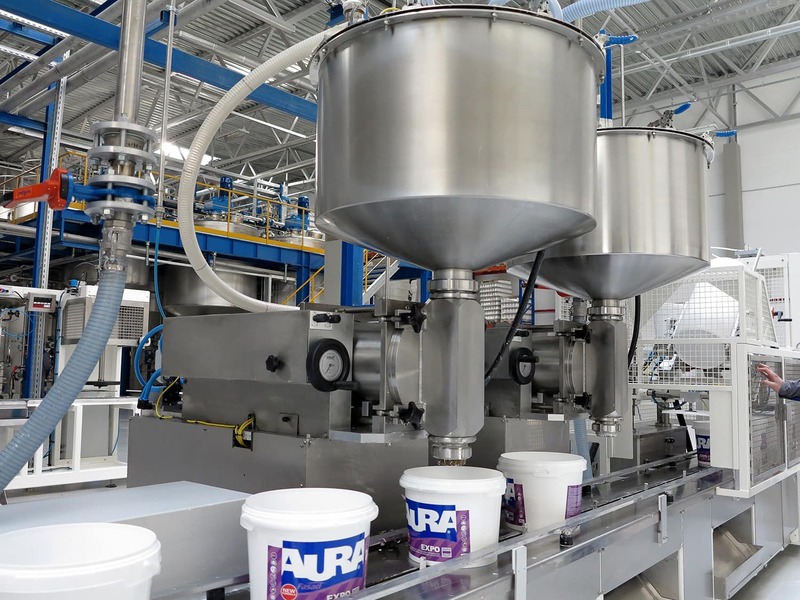 The responsiveness of manufacturing facilities to changing market demands will be a key trend going forward, this includes small batch manufacture, colour dispensing accuracy as well new dispersion technology to further maximise the efficiency of key raw materials such as titanium dioxide. Q. With the global coatings industry growth set at above 4% can SA exceed this in the near future? A. The current economic climate of low economic growth and low construction activity is affecting the coatings industry negatively. Without an upturn in economic activity it is unlikely that growth targets will be exceeded in the near future. With the 2019 elections, the government has put strong measures in place to bring state owned enterprises back on track. Hopefully, this will mean investor confidence in South Africa is growing. Q. Locally, we have seen a move towards specifically lower quality coatings. Is the premium market still growing or have we hit a plateau? A. There is a combination of factors at play, a combination of financial pressure, stagnant paint market as well as changing consumer needs. With a stagnant coatings market and consumers are under financial pressure, there has been a move to more economical lower quality coatings, resulting in a stalling premium market. Q. How will manufacturers overcome this challenge? A. This is a reaction to a short term financial problem, the effect of which will only be felt in a few years’ time when premature repainting will be required. The cost of applying the coating is significantly higher, 5 to 6 times higher than the actual cost of the paint. So, in the long term the value proposition for premium high quality paint will always exist. The Plascon brand is a strong and recognisable paint brand in South Africa, known for its premium product positioning. The brand continues to weather the storm and when consumers are faced with low disposable income a brand that they can trust becomes most relevant. The premium market has been stagnant with some volumes migrating to the mid-tier products. This trend will continue in the short term and then stabilise. Manufacturers will have to stay relevant by improving their cost competitiveness. Q. When do you think premium brands will make resurgence? A. Despite the premium market being under pressure the premium brands are still resilient as they offer customers peace of mind and confidence in their investments. Traditionally quality and performance have driven these brands but as consumers come to accept these qualities as the norm, innovation and services are becoming more and more important. Premium brands will remain a strong feature in the South African coatings market segment. This sector will however, remain flat for the next few years as the upper as the middle class expands. The growing lower quality market will increase in volume and become a strong volume driver for manufacturers who can harness this to reduce the overall cost of manufacturing.